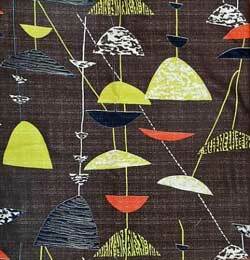 Lucienne Day is a British Textile Designer born in 1917 in Couldsen, England. 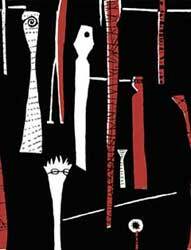 She was an Art teacher at the Beckenham School of Art until 1947. She married the designer Robin Day in 1942. 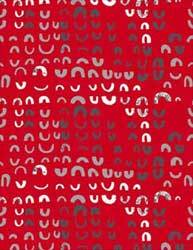 She was a versatile and influential designer. 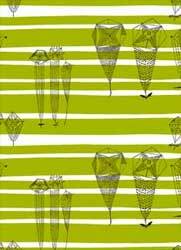 Lucienne pioneered the introduction of modern abstract pattern design in the textile industry. 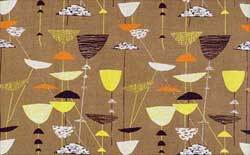 Her fabrics, which oscillate between bold geometric figures and more subtle abstract patterns, were produced by companies as diverse as Heal's and Liberty of London.She extended her very particular vision to carpets, wallpapers, tea towels and ceramics as well as textiles. 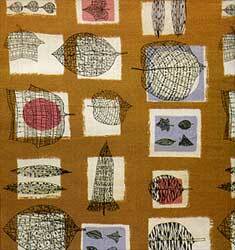 the best known textile designed by Lucienne Day in 1951: Calyx. 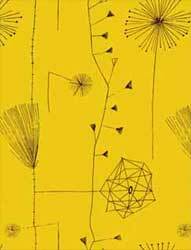 Robin and Lucienne Day: Pioneers of Modern Design , Lesley Jackson.